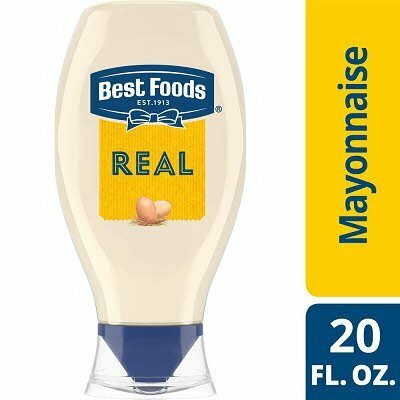 Best Foods mayonnaise delivers a rich, creamy taste and texture that has made it America's favorite Real Mayonnaise. The highly desirable balance of acidic and sweet flavor notes enhances your menu items in a way that is unmatched by other brands. Directive nozzle makes it easier to put mayonnaise right where you want it, and the clean cap keeps the product looking great on your tables. Guests want to top their sandwiches and burgers with the best mayo, and they expect Best Foods® within reach. Best Foods® Squeeze Mayonnaise on your table puts their favorite mayo at their fingertips. The highly desirable balance of acidic and sweet flavor notes enhances your menu items in a way that is unmatched by other brands. Maintains cling, consistency and stability-even when heated. Superior emulsion resists breaking down; your recipes retain outstanding texture, mouth feel, flavor and eye appeal. Outstanding performance reduces waste and lowers cost.